Prev Super Cute Emoji Candy Valentines for Kids Next Leprechaun Cupcakes (and Free Toppers) for St. Patrick’s Day! 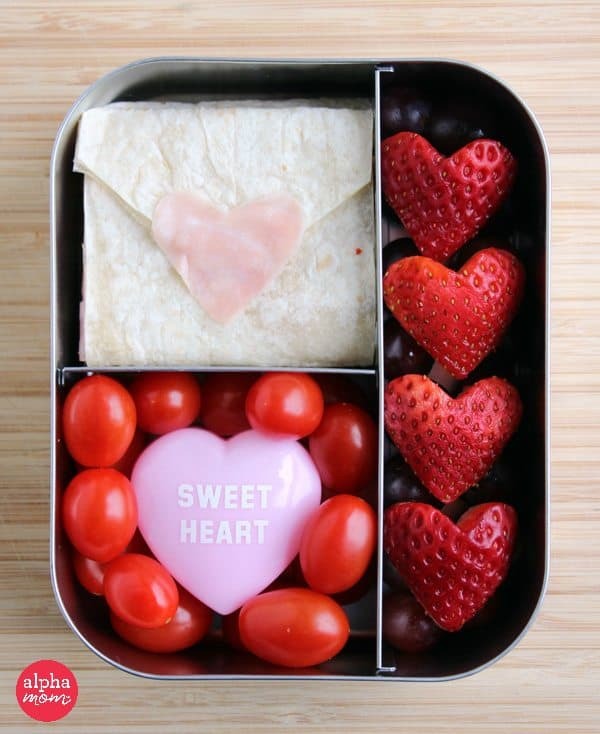 Valentine’s Day is often packed with sweet treats, so it’s a good idea to make sure that your little sweetheart has a healthy lunch before the celebrations begin. But just because you’re sending healthy food for lunch, doesn’t mean it has to be boring. 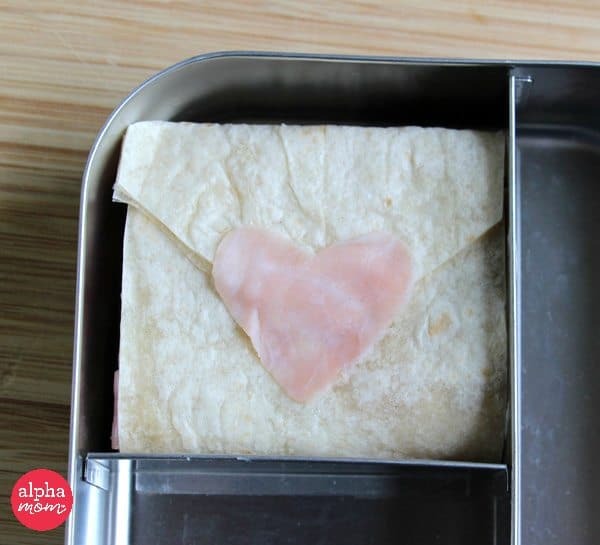 With just a little effort, you can pack a love letter in his/her lunch — an edible love letter to your child! 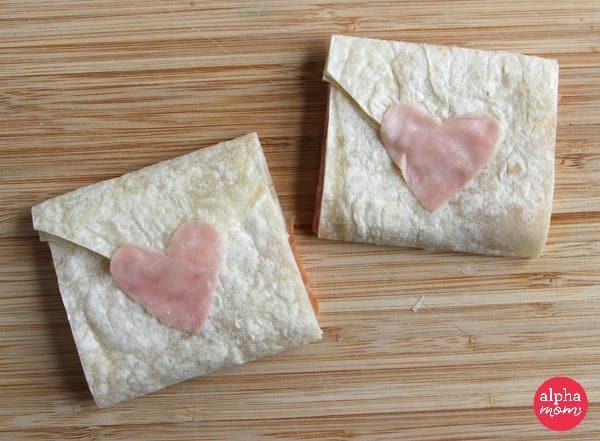 Let’s start by making the “love letter” tortilla sandwiches! 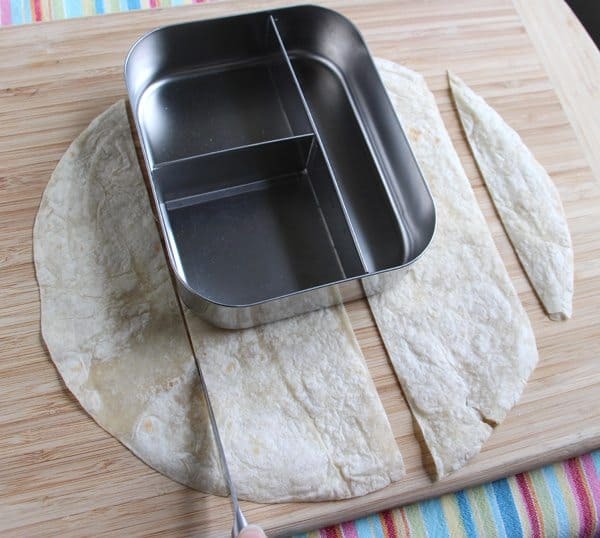 Cut the tortillas into strips the same width as one of the larger compartments of the lunch box. I set the lunch box on top of the tortilla and used it for a reference when cutting. Save the scraps for another use. 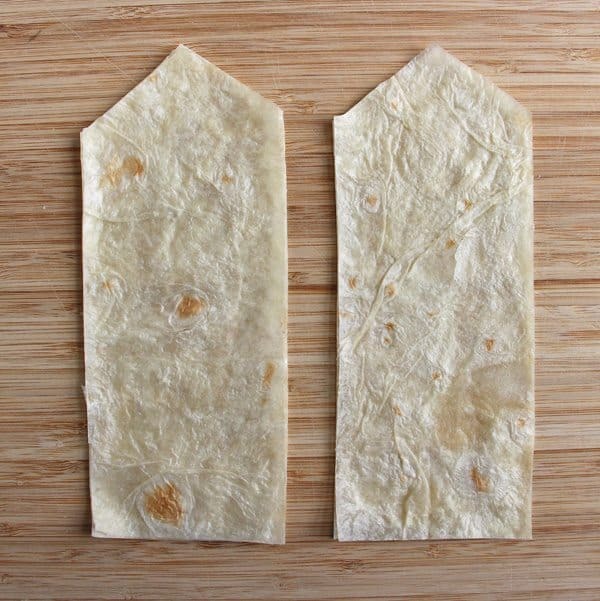 Trim the tortillas down further so that the top is pointed like an envelope flap. 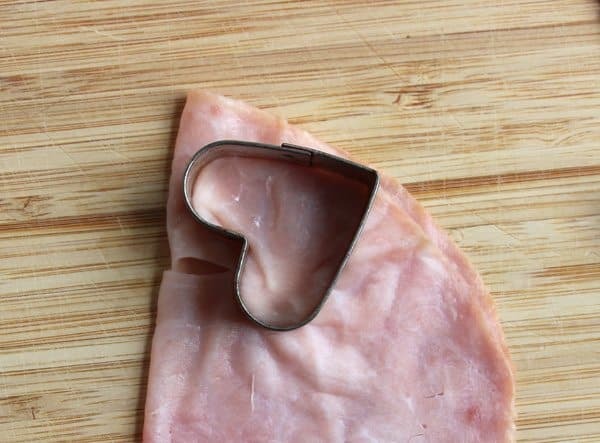 Cut a couple of hearts from one of the slices of ham. Spread a little mayo on each of the tortilla strips, then top with ham and cheese slices (if using). Fold the strips up so that they look like little envelopes. 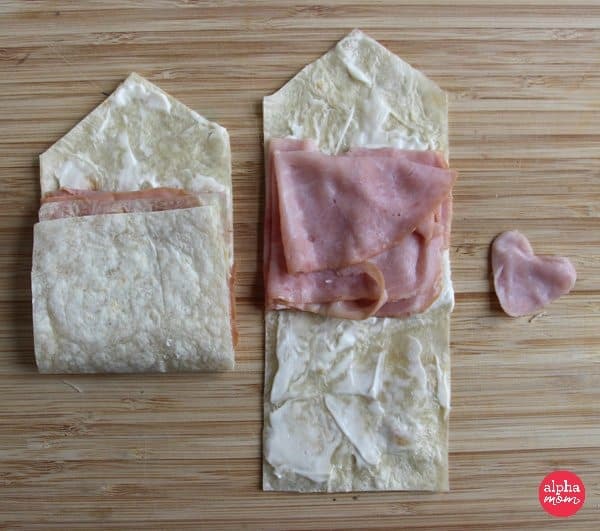 Seal the envelope sandwiches by spreading a little mayo on the back of the ham hearts and “gluing” them onto the flap of the envelopes. Stack the sandwiches in the lunch box. 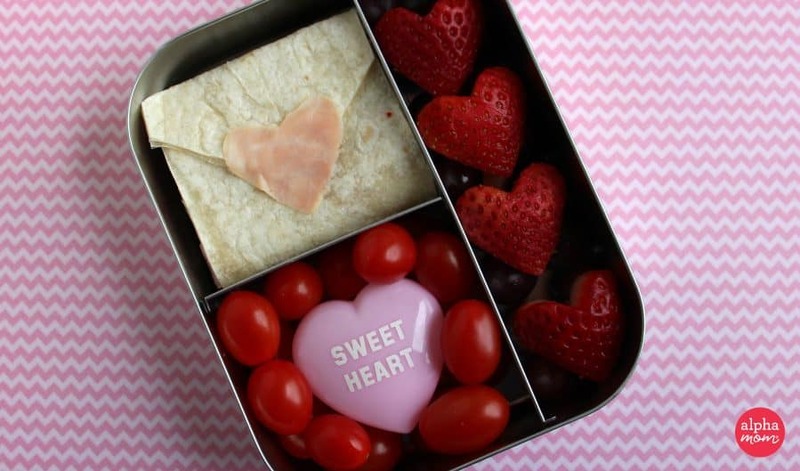 Pack the rest of the bento lunch box with a few valentine-inspired side dishes. 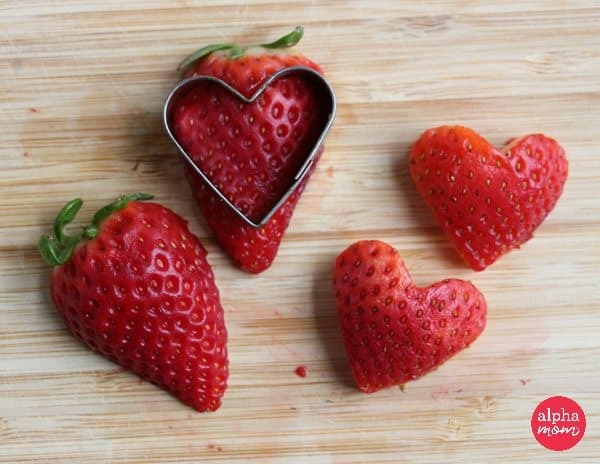 Red and pink fruits and veggies will make a lunch look like a giant Valentine without a lot of effort and raiding the Valentine section at the drug store can help you find fun accessories too. 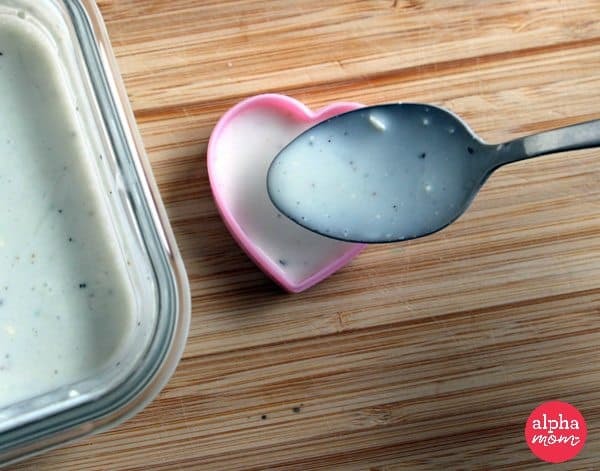 I found some cute heart-shaped treat boxes at my grocery store and I used one as a container for ranch dip in this lunch. Pop it in the bento box along with a handful of tomatoes to dip into it. Put a handful of red grapes in the remaining section of the lunch box and lay the “heart” berries on top. 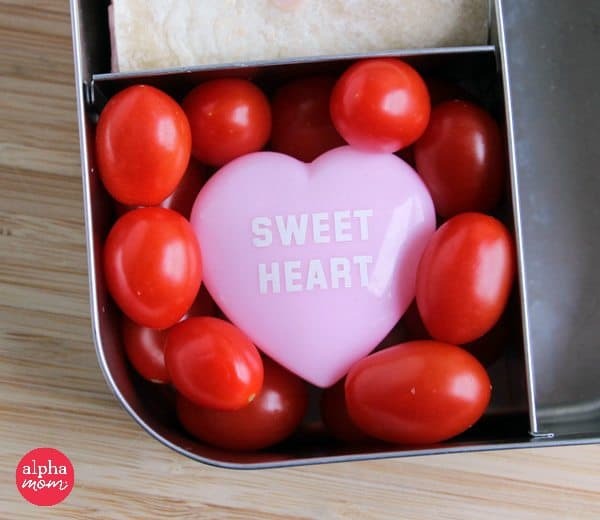 Put the lid on the lunchbox and send it off to school with your little sweetie. S.W.A. K (sealing with a kiss) is optional!